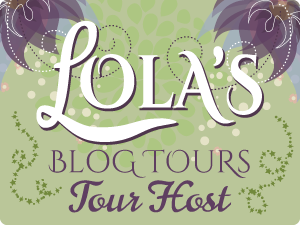 Today I am taking part the Book Blast for All Access, book on in the Fangirl Series by Liberty Kontranowski, read on to find out all you need to know about the book and Liberty! I am also hosting a guest post written by Liberty on why she loves reading and writing books with happily ever after's. Every fangirl has a fantasy . . . what happens when that “if only” dream comes true? Though she’s a single mom wedged firmly into thirty-something territory, author Kallie Reagan’s devotion to rock star Niles Russell knows no bounds. To pay homage to her muse, Kallie writes a smokin’ hot novel featuring a hero who looks and acts an awful lot like Niles — and a heroine who may or may not have a smattering of herself thrown in for fun. When Niles learns about the book and surprise-texts Kallie, the two deliciously complicated creatives become fast friends . . . and so much more. But trying to define a relationship that’s laced with closeted skeletons, half-truths, and constant question marks proves harder than making it big. If they’re going to progress from Fangirl Infatuation to The Real Deal, these two need to give each other All Access to the most important place of all: their hearts. Reading is an escape. A chance to leave your world for a few hours and enter into one you’ve never known, or that you could never experience quite like the narrator has. It’s the opportunity to live a different life, meet new people, see new places. It’s magical, really, and when the author does his or her job well, it’s a real gift. This is why I love writing. I love knowing that with each chapter, my readers have the chance to check out of The Real World for just a bit and indulge in the escapism that might make their “meh” day a little more tolerable. Heck, according to some of the messages I got from readers following the release of my debut novel, ALL ACCESS, their days sometimes turned around completely. They became so absorbed in Kallie and Niles (the main characters in ALL ACCESS) that they were more concerned about what was coming next for them than the fact that the house needed vacuuming or the laundry needed folding. They experienced that very rewarding feeling of departure, which is sometimes all we need to redirect our days ... and our attitudes. Because I’m all about The Feels, I love reading and writing stories that offer the oh-so-famous Happily Ever Afters. Sure, couples may go through a whole lot of stuff to get there, but when they pull through their challenges and end up stronger than ever, how great of a payoff is that? And when they learn things about themselves and each other in the meantime? Ugh! Doesn’t get any better! I love knowing that the characters I’ve just spent several hours with (as a reader; many months with as a writer) are in good hands at the end of a story. That a hopeful future stretches out before them. That there’s a chance we’ll revisit them in future books to see what they’re up to and how they’ve grown even more. When I read a romantic book, I love, love, love feeling happy and optimistic about the characters and their stories, and somehow that always translates into feelings of hopefulness in my own life. (Isn’t it funny how we take bits of characters and stories with us into our own lives? That’s what I meant by the “gift” statement I made at the very beginning of this post.) And as an author, I love knowing that I can offer this to my readers, too. While I enjoy and value books of all types, I will always have a soft spot in my heart for romantic novels. There’s just nothing more uplifting than a good love story. In a time when life is so series and there’s turmoil and unrest all around us, escaping into a world where love prevails is just the medicine we need. Liberty Kontranowski is a romantic women’s fiction author who adores all things lovey-dovey with a pinch (or more) of hubba-hubba. When she’s not at the keyboard, she’s taxiing around her three boys, knocking back craft beers with the hubs, blogging, fangirling, and dreaming up more fake people. She also spends an inordinate amount of time drinking coffee and dreaming of the day she can bid adieu to far-too-wintry Michigan and move to a place where she can write with her toes in the sand. Liberty loves to hear from her readers (and otherwise cool people) so give her a yell.